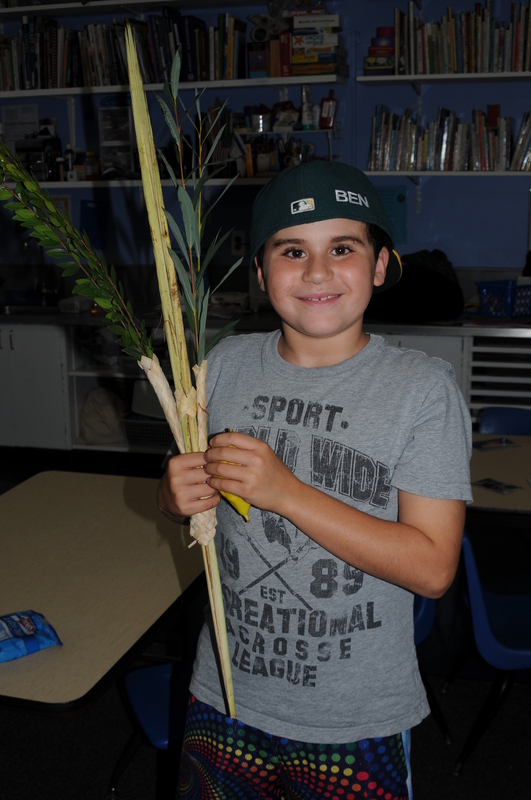 Using the framework of the blessings for Sukkot, our class explored the blessing formula for mitzvot as compared to a “regular” blessing. 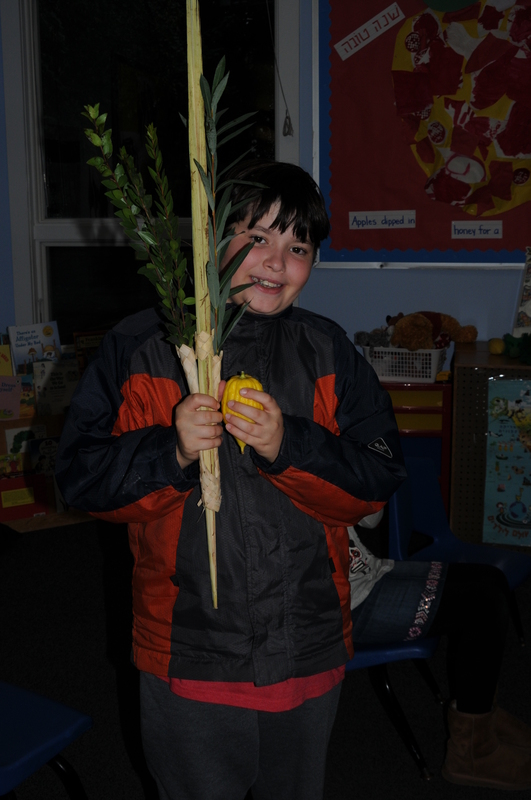 We used our new knowledge to recite the blessings over the lulav and etrog. 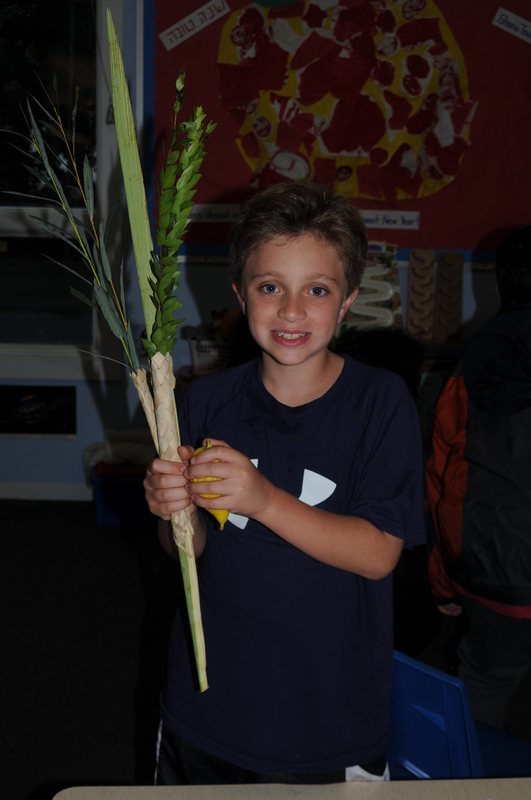 The shaking of the lulav produced sounds that we related to rain. 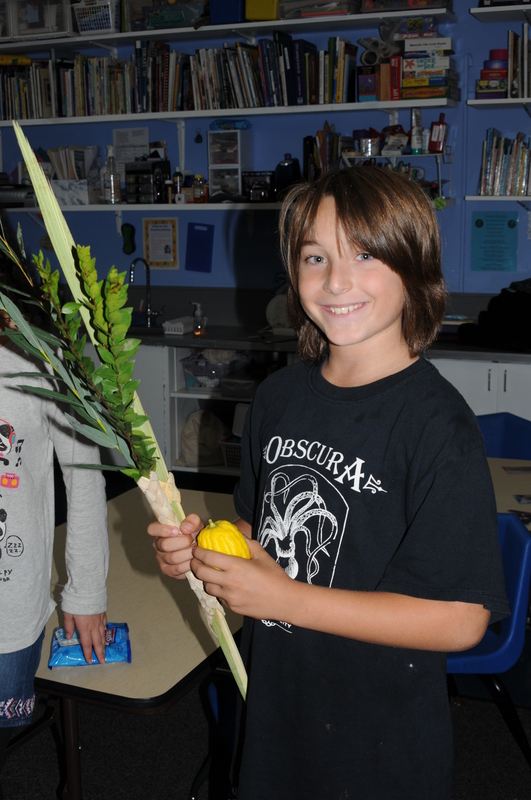 The smell of the etrog was incredibly strong and lingered in the classroom. Our class ended with a game of kador basis (hebrew vocabulary baseball). The tzaov team is currently in the lead, but the sagol team is not far behind! We used vocabulary from the holidays of Tishre (the current Hebrew month) as our word bank for the game. Today Rabbi Jodie showed us the Torahs in the Aron Kodesh, the Holy Ark, and the students had great ideas about why the Torah was heavy, and how it was an honor to carry the Torah. The students saw the different Torahs and which they might carry for their Bar or Bat Mitzvah, and even got to feel the weight together. There were wonderful questions and we will need another visit to get to open up the Torah and see it up close. 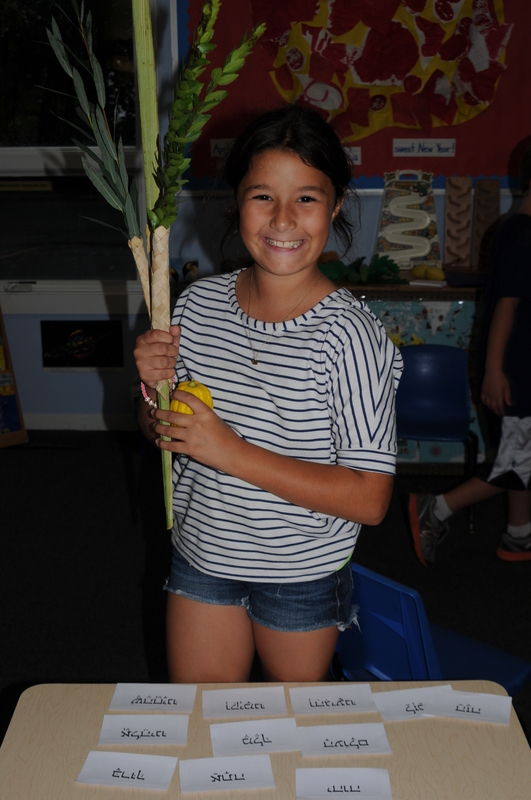 We talked a little about Sukkot, welcoming guests, eating in the sukkah, shaking the lulav and etrog, and sang songs with Cantor Eric. We even practiced ‘Bruchim Habaim’, a Hebrew welcome of ‘blessed are those who come’. And the most popular part of the day was tasting the new requested fruit of the season, pomergranate, and saying the blessing over fruit of the trees. 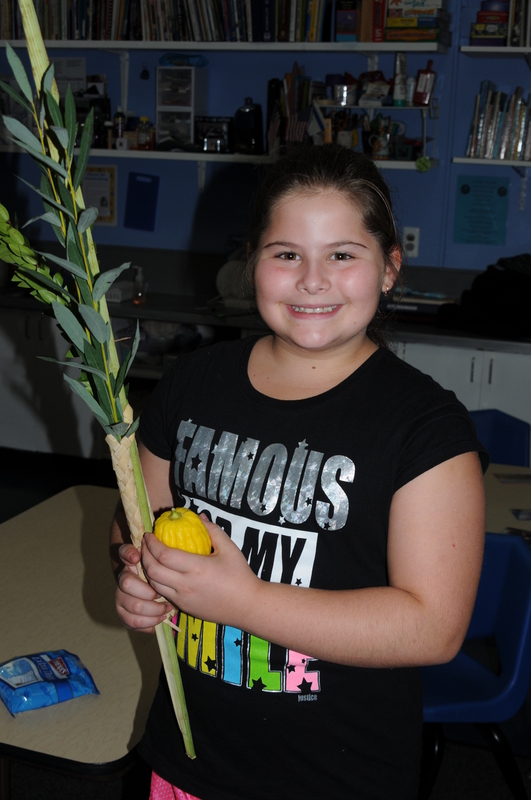 I was very proud of some students who tried one seed, and then realized they actually liked the fruit! Happy birthday to Elijah today. It was a fun day.